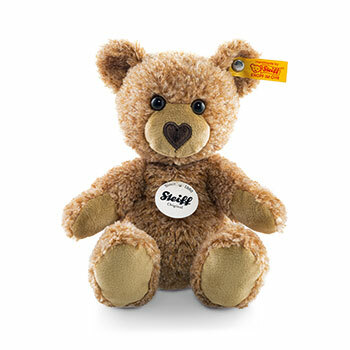 Steiff Cosy Ted Discounts Apply ! Made from The Finest High Quality Cuddly SoftReddish Blonde Plush. Non jointed with Safety Eyes and stuffed with Safety Filling, and with Stainless Steel "Button in Ear" and Machine Washable at 30� C with CE Mark.